I will ask Mike tomorrow when I see him. I should have measured them when I went out to see Mike. How much is the "said" saleen lower valance spoiler worth? Condition and material is everything. Urethane, used, is around $800-1200. New, I have seen $1800-2700. I’ve personally paid 1,600 and 1,700 for urethane. Both were used in great shape with sides. WOWWWW!!! That much money! Just for a lower valance. If you have an 85 Saleen and it’s missing this part, it makes your car worth way less than the price paid for the airdam. It’s worth it to secure the part if you want the car to be correct. 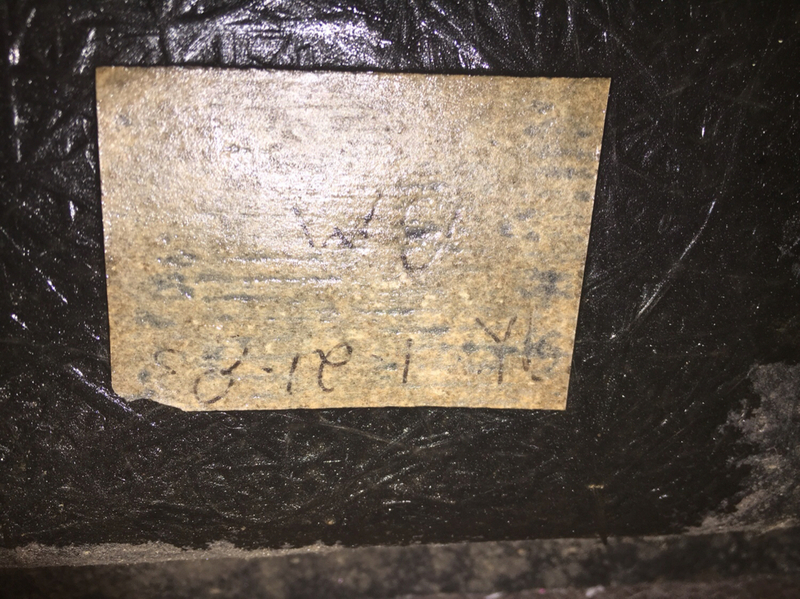 I found a old writing that says 1/21/83 BM. 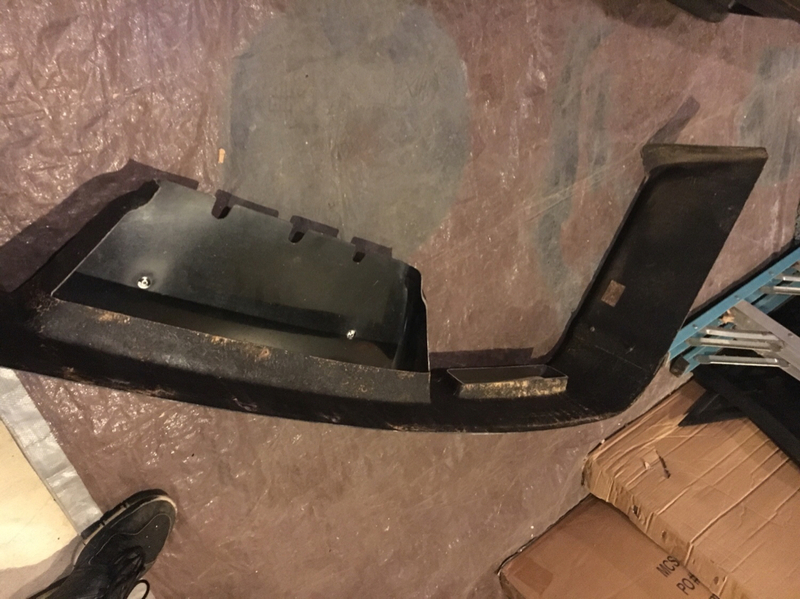 Anyone know anything about this 3 pieces lower front air dam? 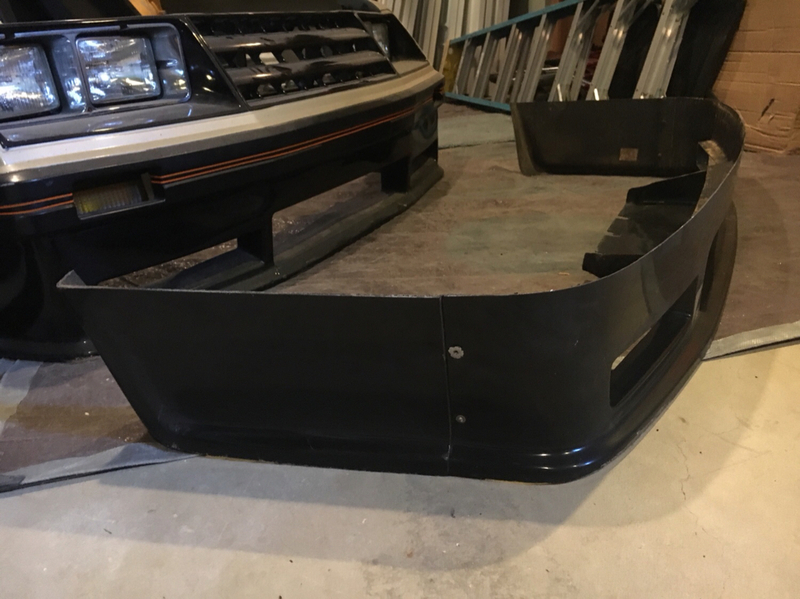 It appears to be the same as the Saleen fiberglass air dam for the 84 and early 85 models. Looks just the same as the one we are installing on Erratic50's Saleen Clone. I believe it was made by DH Buck originally, but I am not 100% about that. A nice to piece to own. 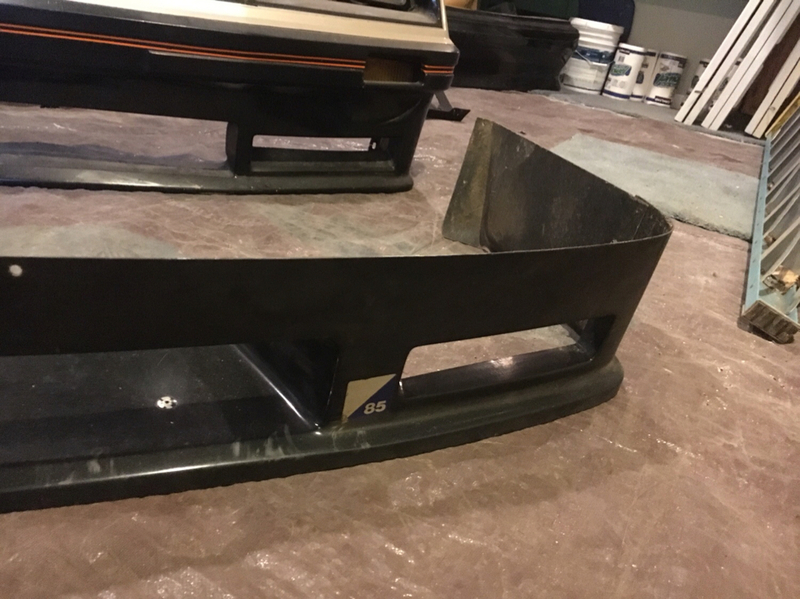 Apparently the later 85 urethane version is harder to come by now, but definitely a cool piece for any Mustang Saleen or not! 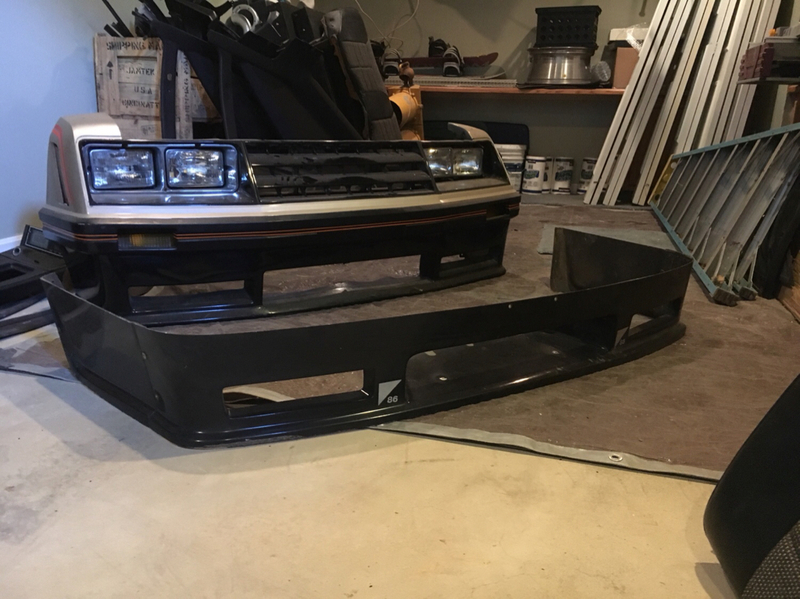 I guess ill have to live with my 86 front end for now. Its still better looking than the 87 up air dam that was on it when i bought the car. 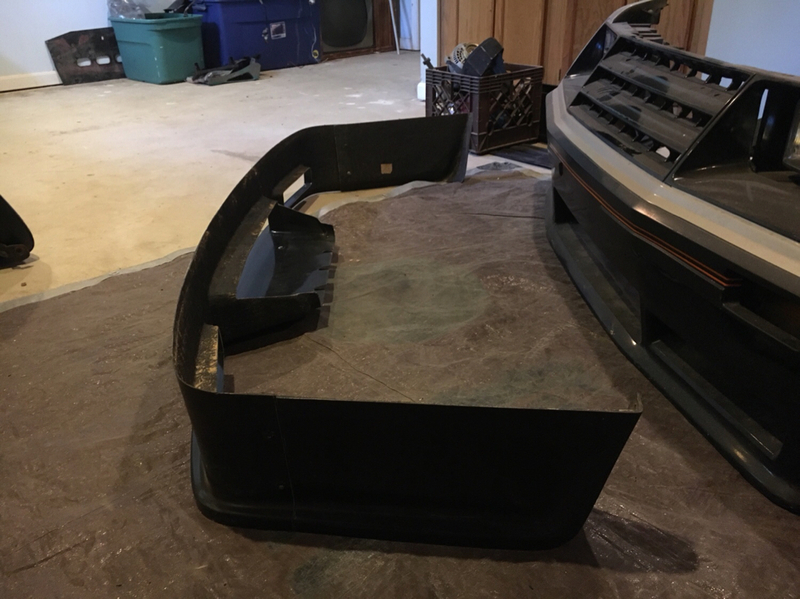 This air dam valance is for sale $800, if anyone is interested. I dont have enough post count to post in the classified section. I can bring to Carlisle PA Ford All National. How did Saleen mount the upper part of the air dam to the urethane? Double sided tape and screws? Correct? Can somebody with an original car show me please? I would appreciate it greatly. I used panel bonding adhesive on the 86 air dam currently on my car now. I'm not sure I want to that route with the fiberglass piece. Pretty sure it was just double sided tape...no screws. The only screws/rivots were the two vertically oriented ones that connected the side extensions to the main front portion. And I believe there were 2 screws or rivets inside the wheel well connecting the extensions to the fender. Oh. Ok. I thought somebody told me there were small screws. No big deal then. Don't know if I'll trust the tape or if I'll use panel boding adhesive. They used double sided tape towards the top by the belt trim. Up there, that is all. They used a 3M product that had a weatherproof but still foam based core AFAIK. Basically the same crap that gets used to recondition stick-on badges after a quick respray in a lot of shops. In other areas of the spoiler and spats they held them on with rivets. They were large sized heads vs the size of their body and the were painted to match the car albeit little prep work was done and usually the paint falls off of at least some of them on each car over time. Just like the photos above -- really. Keep in mind that the build quality was pretty minimal-- especially on the three 84's and the earliest of the 85's. They blasted them out the door as quickly but cheaply as possible. Fit and finish were closer to marginal than great -- but they look cool. Early Saleens had Saleen's "racecraft suspension" because it was declared so. How it actually got there was pretty crude. They got their stock springs chopped with a torch then spray painted red basically. They received shocks and struts with the new tune applied. The racecraft suspension decals were made up of individual letters cut out of a sticker kit. Basically it looks like it was bought at the local Kmart and stuck on ---> one letter at a time....... I have pictures of this that were taken of 1985-007 -- which is the very first production Saleen. Pretty amazing. Last edited by erratic50; 06-25-2018 at 11:14 AM. What cars had torch cut springs? I’d not heard that before. Comments like that tend to live forever in internet lore, so please let us all know where this comes from. Well - all three 1984’s built and several 1985’s like 1985-007 and 1985-016 for instance. (First two built). Mike Charles owns the first three 1985 Saleen production cars made. The way I understood it when speaking with Mike about it is that they were cut then painted red. as for the Racecraft badge.... you be the judge! Last edited by erratic50; 06-26-2018 at 01:43 AM. First I have heard of this as well. I don't doubt the sticker part....but never heard about cutting and painting the factory springs?